2015 has been a great year for open source and Linux gaming. The number of Linux games continues to grow, and Steam Machines finally hit the market on November 10. So, with the end of the year closing in, I’d like to give you my picks for the top five open games. Which one is your favorite? And which games do you think should have made the list? 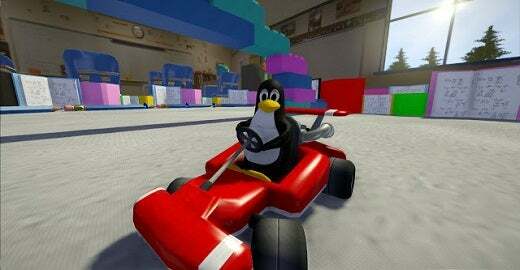 At number five we have SuperTuxKart, a hugely popular racing game. SuperTuxKart's gameplay is similar to Mario Kart. What makes it unique is that it is open source, and its characters are open source mascots, with Mozilla Thunderbird being the race referee. A major update for SuperTuxKart was its 0.9 release in April 2015. This release included a highly modified version of Irrlicht, including an entirely new graphics renderer dubbed Antarctica, which enabled better graphics appearance and features such as dynamic lighting, ambient occlusion, depth of field, global illumination, and more. The game has been downloaded more than 2 million times so far. This number applies to the fork of TuxKart, and also when Joerg Henrichs resurrected the project with the help of Eduardo Hernandez Munoz. More of the game’s history is available on Wikipedia. Credit and copyright SuperTuxKart blog. At number four comes Magarena, a single-player fantasy card game. 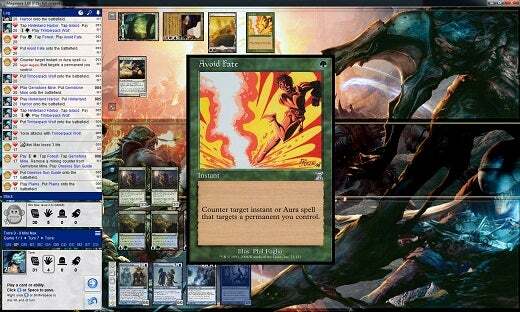 Based on Magic: The Gathering, the game lets you play Magarena against a computer opponent. Magarena includes an advanced AI, intuitive interface, engaging gameplay, and program stability. Credit and copyright Magarena website. With number three, we head into a classic, Battle of Wesnoth. Gamers that prefer a turn-based tactical strategy game will love Battle for Wesnoth. Making this game unique is its high fantasy theme. The game allows you to build your own army, out of 200 unit types. It also includes 16 races, 6 major factions, and hundreds of years of history. As player, you are the heir to Wesnoth, and you fight to regain its throne. "The world of Wesnoth is absolutely huge and only limited by your creativity—make your own custom units, create your own maps, and write your own scenarios or even full-blown campaigns." Credit and copyright Battle of Wesnoth website. Switching to a historical real time strategy game, at number two, we have 0 A.D. Although you can already download 0 A.D., this game is in alpha; still, it is playable, and available as native client for Linux. 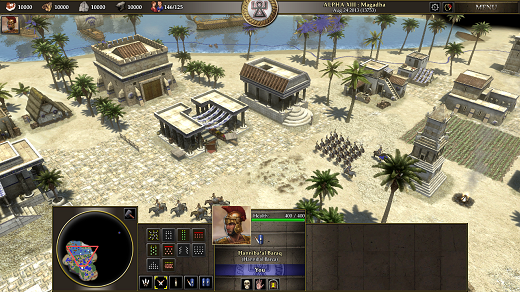 0 A.D. is unique in its graphics and rendering, backed by positive acclaim. As leader of an ancient civilization, your goal is to gather the resources you need to raise a military force and dominate your enemies. Your civilizations and battles take part over the millennium of 500 B.C. to 500 A.D. Hence, the name of this game, being the midpoint: 0 A.D.
That leaves us with number one, Minetest, an open source alternative to Minecraft. Minetest's gameplay is similar to Minecraft's. You can create and remove various types of blocks in a 3D open world. Minetest supports singleplayer and multiplayer games. 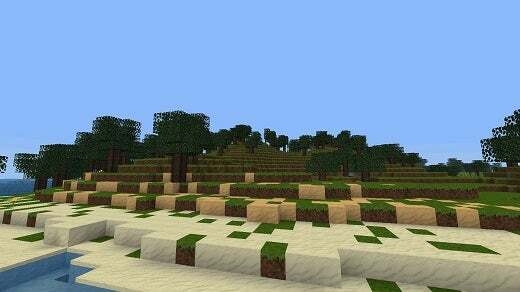 Minetest also includes many features, such as support for mods, texture packs, and more. Minetest is released under the GNU Lesser General Public License. Credit Minetest, license CC BY-SA 3.0 Unported. Scrabble3D is open source, based on a GPLv3 license. You can play against the computer, against players on your local network, or connect to a game server online. The real fun in this game is that you can create words in three directions instead of just two. OpenTTD is an open source simulation game based upon Transport Tycoon Deluxe. As entrepreneur, your goal is to make as much profit as possible by transporting passengers and various goods by road, rail, sea, and air. SuperTux is a classic 2D jump'n run sidescroller game in a style similar to the original Super Mario games covered under the GNU GPL. You can also find a list of open source games and projects on GitHub.